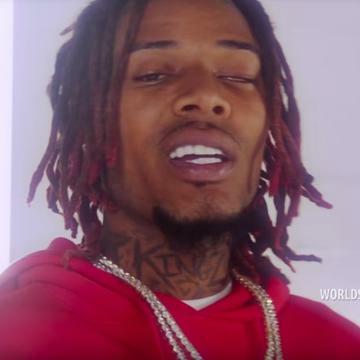 Home>New Songs>Fetty Wap Songs> Fetty Wap & Fuzz Team Up For New Song & Video "Black & Decker"
There’s not much of a marketing strategy when it comes to Fetty Wap’s music. It feels like on any given day, the Jersey sensation can see a song or video randomly surface online without any promotion from him, and that’s exactly what we have here today. With no warning at all, a new song & video from Fetty Was has surfaced via WSHH called “Black & Decker” featuring Fuzz. Over production from Kid Hazel, Fetty shows off more of his hood side here and raps about having shooters & gang affiliations, while referencing keeping a tool on his hip like “Black & Decker” on the chorus. It’s unclear at the moment on where this might end up, but hopefully there’s more to follow. Following up “Surfboard,” check out Fetty Wap’s new collab and let us know what you think. SONGS Fetty Wap & Fuzz Team Up For New Song & Video "Black & Decker"